Ticket Alternative Concert and Event Picks! An ice cold beer, some great tunes with friends- it’s what we live for! Let’s kick back this weekend, dive into a great show or get rowdy at a fun festival. Tweet us your weekend plans at @TktAlt ! Selling out shows across DC is nothing new for these guys. Beginning with the need for a more collaborative story telling experience, Story League brings in talent across all boards. With this event, some of the bigger stars of Story League will have a chance to go head to head in one of the most exciting nights of tall tales you will find in town! Don’t miss them at Black Cat. Legendary performers The Kentucky Headhunters will be taking the Mill Town Music Hall stage on Friday, April 26 at 7:30 p.m. with all proceeds to benefit the Harold Shedd Music Mill Gallery. Check out our interview with Tyler Bryant to learn more about this guitar prodigy and his band The Shakedown! A weekend festival in Atlanta featuring many awesome bands playing at both the Earl & 529! Get a weekend pass or just go for a day! Check out our interview with Wax Idols & TV Ghost! Her soulful intimacy will rock your conscious, and stay with you for hours. Right out of Atlanta, Kelly McFarling has learned to sing from choirs to baseball stadiums. She utilizes bold lyrics with honest story telling in her songs as well as backing up her vocals with a light, roots style banjo. Don’t miss this show which will surely be an experience. Hear all of your favorite LZ songs by an all female cover band! 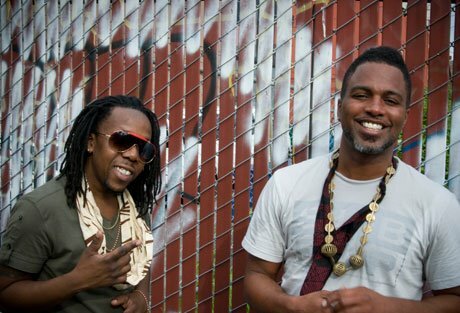 Seattle has always produced musicians, and Shabazz Palaces are within that group hailing from the rainy city of the states. The hip hop, multi-instrumental group is signed with Sub Pop records, most notably known for signing Nirvana. Four artists for the price of one! Now that is a deal. Playing at The Mars Sessions will be The Endangered, Micah Freeman, The DOJO Collective, and David Fuller. The night will hold everything from hip hop to incredible multi media visuals for a concert experience unlike any other! The Heritage Sandy Springs Beer Fest is what a beer festival should be all about – sampling 70+ nanobrews, microbrews, domesticsinformation on the Heritage Sandy Springs Beer Fest! and imports, listening to live music on the lawn of Heritage Green, and hanging out with fellow beer aficionados all while benefiting a great cause. It’s mudbug season down on the Bayou and what a better way to celebrate nature’s bounty than to have a feast! Washing dem mudbugs down with some cold brews and hot music! Join us at the famous Park Bench in Buckhead for Atlanta’s best Crawfish Festival! We’ll have dat Crawfish boil going starting at 1pm til we run out of dem tasty mudbugs! Check out our blog on the Buckhead Crawfish Fest! The original band consisted of Dave Wakeling on vocals and guitar, Andy Cox on guitar, David Steele on bass, and Everett Morton on drums – later additions Ranking Roger (toasting) and foundational First Wave Ska legend Saxa (saxophone) completed the outfit. The band crossed over fluidly between soul, reggae, pop and punk, and from these disparate pieces they created an infectious dance rhythm. Along with their contemporaries The Specials, The Selecter, and Madness, the band became an overnight sensation and one of the most popular and influential bands of the British Two Tone Ska movement. A combination of soulful reggae and rock and roll, The Snails will be playing at Black Cat on Sunday. Even more they are working on several new singles, scheduled to drop in the summer time, meaning some new tunes could be happening at the Sunday show! The Grammy award winning Atlanta Symphony Orchestra is made up of 88 different musicians, and some will be taking over Eddie’s Attic, to fill the room with bombing songs and music. Not only are they representative of the culture of Atlanta, but they also give back to the city’s youth. Don’t miss this opportunity to see them!